The 965** serial # places the firearm as being made between 1935-1936. - Due to an ongoing insurance claim dispute with a shipper for a damaged firearm we are currently suspending shipping long guns until it is resolved. If we have previously quoted you on a shipment already we will honor it however any new listings for long guns will be marked no shipping for now. 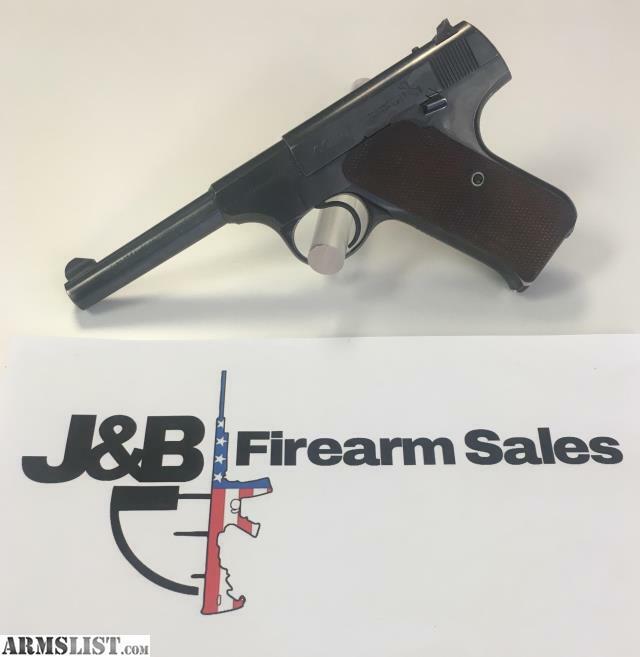 We'll always consider a trade in on a firearm however we have to see the firearm in person at our storefront in Beaverton, OR in order to make an offer. The only exceptions is that we cannot accept trade ins towards a consignment firearm. We can ship to an FFL provided the firearm is legal in your state, to get a quote please email us the full address for you receiving FFL. Please note taking photographs of firearms and boxing them up for shipping quotes takes up significant company time and resources, due to an influx of customers requesting pictures and quotes then dropping off the map we have to request that you only ask for pictures and a shipping quote if you are seriously interested in purchasing the firearm. Please note however that due to California's DOJ's extra rules and regulations we cannot ship any firearms to California.